Back in the early summer, I freecycled a stack of roof tiles that had been in our garden, gathering spiders and snails, since we bought the house. 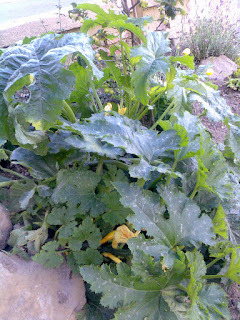 The woman who collected them gave us a courgette plant in thanks and Claire planted it in our front garden. It did not seem to be particularly fruitful and we mostly ignored it. 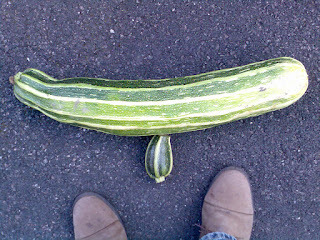 This is a dangerous strategy when it comes to courgettes. 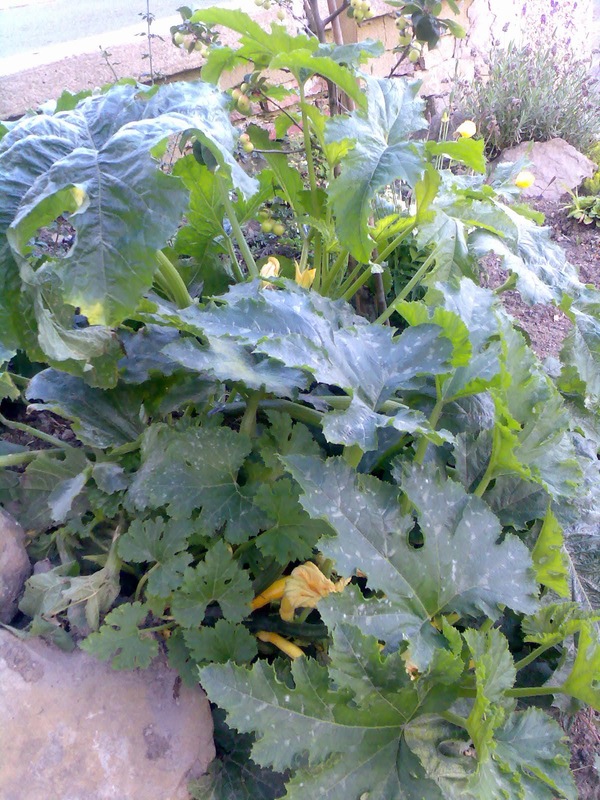 The smallest fruit will, when you turn your back, grow into the most enormous marrow. And so it came to pass. Claire went out on Wednesday to harvest what we knew was a large courgette and staggered into the house with a seven pound, twenty inch monster. This was too big to cook and I was given permission to turn it into wine. In honour of my half-American heritage I feel justified in naming this brew 'Zucchini Wine'. Because of my Wine-Alphabet odyssey it is a wine that I had always planned to make, being the natural choice for Z, but I wanted it as my last letter. I have yet to tick off J, so that hasn't quite worked. Anyway, I consulted my recipe books and have adapted C J J Berry's recipe for Marrow Wine. On Friday 1st September, I grated the zucchini (must not call it 'marrow') using the food processor, only discarding the very ends. I put this in my bucket, along with the juice of two oranges and 2-and-a-bit ounces of grated ginger. I added 2 lb 12 oz sugar and poured over 6½ pints of boiling water. 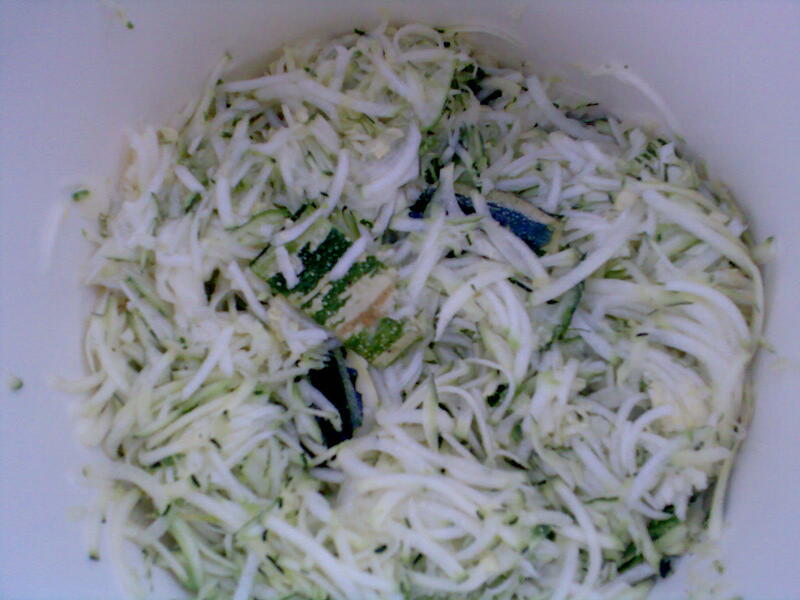 At this stage what I have made is a sweet zucchini soup. On Saturday morning I put in two teaspoons of citric acid (the recipe book asked for four), a teaspoon of tannin (not mentioned in the recipe), a teaspoon each of nutrient and pectolase plus the yeast and gave it all a good stir. Tuesday (5th September) was my only night in this week, so that is when I sieved the liquid into its demijohn. Once I had removed the bulk of the vegetable matter with a colander, this was a quick job. It is probably not worth noting that I should have used a pint less water (it is highly likely that I won't be making this again). The taste at this stage is unpromising and its colour is dishwater grey-green. I will deem anything better than 'nasty' for this wine as a monumental success. 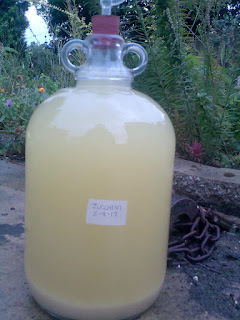 If you want to see how this wine turned out (and I recommend that you do so if you are thinking of following this recipe), click here.